Even though we have talked about Alcoy before, its patrimonial richness of customs and traditions make it worth bringing it up again. The parade is one of the highlights during the Christmas time in the Region of Valencia and the schools that form the Spanish Federation of Schools of Spanish as a Foreign Language (FEDELE), like Proyecto Español, convey the variety of our region to their students. Today we go with them from the capital of the province to “the Christmas town”, exactly as their own city hall announced it this year. The aim is that these celebrations become declared as UNESCO Intangible Heritage of Humanity. Of course, there is no lack of reasons to obtain this. The Casal de Navidad is an in Spain unique exposition museum related to the Casal de Santo Jordi in the restored chapel of the Virgen de los Desamparados. There, all the specialties of Christmas in Alcoy can be found reunited in one building and it is opened every day in the morning. This year, in addition to various activities and tourist routes it counts on new technologies to give an understanding of it to everyone. The Belén de Tiristi is a unique showing of the popular puppet theatre that is celebrated since the XIX century and was declared a Place of Cultural Interest. 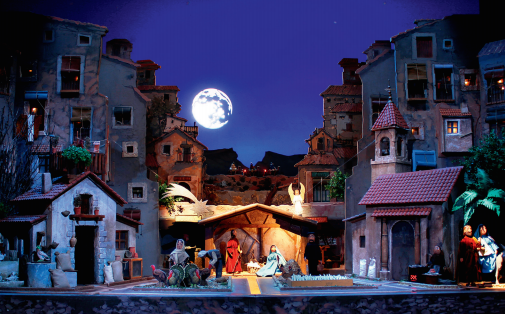 The performances start at the beginning of December and finish when the holy three kings arrive. Furthermore, since the XIX century les Pastoretes take place, another characteristic Christmas event in Alcoy. A child-friendly cavalcade that is celebrated the Sunday before the fifth of January, in the morning, where children dress up as shepherds and parade on floats through the city centre distributing sweets and accompanied by dancing groups. As prior action to the mythical cavalcade, the day before, at half past six in the afternoon in the iconic theatre Principal the Pregó del Tío Piam takes place that stages with very detailed clothes and the participation of the persons of the Belén de Tiristi, in order to announce the arrival of the royal ambassador. So the royal entourage approaches the Sierra de Mariola borders on the village. Finally, every year in the afternoon of 5th January the three Magi from the Orient arrive in the city through the ancient gate of Alicante and walk through the streets and distribute gifts until they arrive at the manger to give their votive offerings to the Infant Jesus. At the end the parade finishes with a spectacular fire work in Plaza de España. It is considered the oldest one in the world, as well as Place of Cultural Interest. 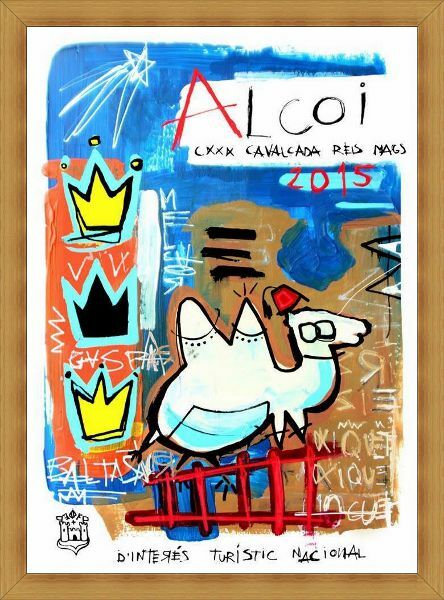 A sum of elements that show that in Alcoy Christmas is something unique and special.